How does your company measure up to the domains of Business Agility? Take part in our 2019 Global Business Agility Survey to find out. from a technical, process and enterprise-wide perspective. Develops connections both inside and outside of the organization. Cultivates a learning mindset, encourages collaboration. Team members take accountability and ownership of their work. Puts the customer at the center of everything you do. 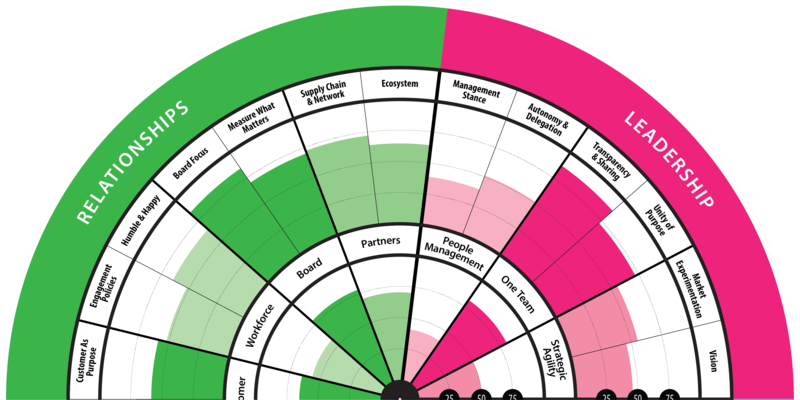 Once you’re finished taking the survey, your results will appear in our Business Agility Radar. By filling out the survey, you will be helping us uncover the real state of business agility in 2019. Let us know if you’d like a copy and you’ll be the first to receive it!